In recent years, the overall level of coffee consumption was relatively stable in the world. America is still the biggest country for coffee consumption and coffee importation.1 Meanwhile, the Chinese coffee market and the French coffee market are two representative coffee markets. Indeed, the Chinese coffee market has a great growth potential, whereas France has a highly saturated coffee market. Starbucks is still possessing the biggest market share (who occupies 51%4) in the Chinese market. In September 2018, Starbucks announced that it will add 2000 stores in China until 2020 and start delivery service to be more competitive. 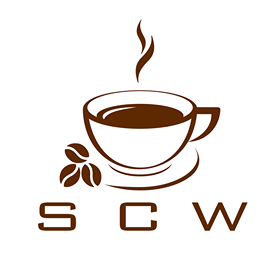 As time goes on, coffee culture has been developed a lot in China, consumers are more and more demanding about their coffee and simple instant coffee can no longer satisfy them. Consumers prefer high quality and personalized coffee. More and more delicate coffee shops show up in the street. “Luckin Coffee”, “Essence coffee” is the presence of delicate coffee, which pursues exclusive quality coffee and aims at offering excellent customer experience. On another hand, China has a strong E-Commerce platform, some companies such as “Coffee Box” catch these opportunities. On double eleven (the Chinese “Black Friday”) of 2017, “Coffee Box” sold 30,000 cups of coffees, as the number of 1000 Starbucks shops’ sales of the volume of one day. Coffee industry reshuffle is imperative in China, old chain brands and new independent brands are all facing a great challenge about customer preferences and intertype competition. France is the third largest coffee consuming country in Europe after Germany and Italy. French consumed 5.1kg of coffee per person in 2015 6. French consumption habits have totally changed. Today, more and more people change the way they have fresh-ground coffee, not only in coffee shops but also coffee-to-go, get fresh ground coffee pods from prestigious brands, fresh-ground capsule by Nespresso… In-home consumption occupied 82% of total coffee consumption in France. France has a history with coffee shops or “brasseries” and they still enjoyed nowadays taking the time to have a coffee as such place. On the other hand, coffee shops like Starbucks, Illy, who also offer coffee beverage to catch sight of young people, are growing fast. Gradually, Nestle is losing its leadership position in the French coffee market and instant coffee, although it has a strong position in fresh-ground coffee capsules (which occupied 85% market share in capsule market and want to double his boutiques in France). Indeed, Nestle is now facing great challenges in the retail coffee market, because of emerging brand, such as Jacobs Douwe Egberts and Carte Noire. Retail coffee sales are nearly 2.9 billion euros in France in 20177. In the next 3 years, homemade coffee which targets young people may take up some market share by creating special brand content. The Chinese and French coffee markets both are big coffee consumers in the world. They develop their own coffee cultural constantly and influenced by their coffee culture.